The busy summer swim season is around the corner. As temperatures rise, many community members will turn to their local pool for relief. 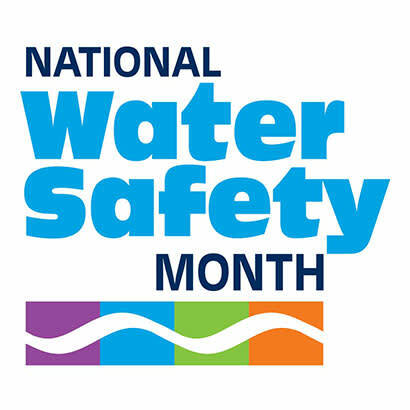 So, the Association of Pool and Spa Professionals, the American Red Cross, the World Waterpark Association and NRPA are hosting the annual National Water Safety Month in May to raise awareness about water safety and highlight the importance of ongoing public education around safer practices for kids and adults around the water. As primary providers of swimming and aquatic opportunities, park and recreation agencies can celebrate National Water Safety Month by hosting educational events, sharing water safety tips and participating via social media. All the resources you need to help educate your community about water safety — from event ideas and tips on how to host those events to information about the American Red Cross Swim App and much more — can be found on the National Water Safety Month website. Also, save the date and help celebrate the 10th anniversary of the World’s Largest Swimming Lesson™ (WLSL), scheduled for June 20, 2019. This event continues to build awareness about the vital importance of teaching children to swim to help prevent drowning. On June 20, waterparks, pools and other aquatic facilities around the globe will host local WLSL lessons to emphasize the message that Swimming Lessons Save Lives™! More information. So, before pool season kicks into high gear, start planning now to help promote National Water Safety Month in May and WLSL on June 20. NRPA will post water safety-related messages that can be easily shared on social media, along with other opportunities promoting water safety.